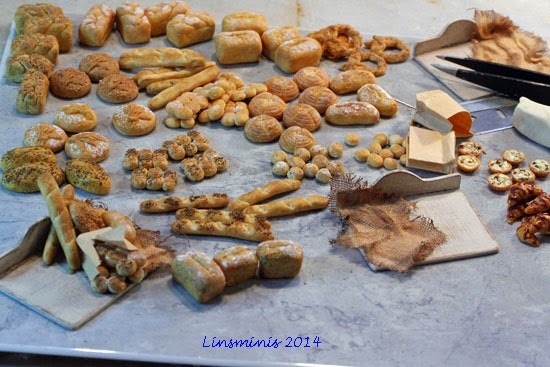 There's certainly no shortage of bread in my mini workshop right now! 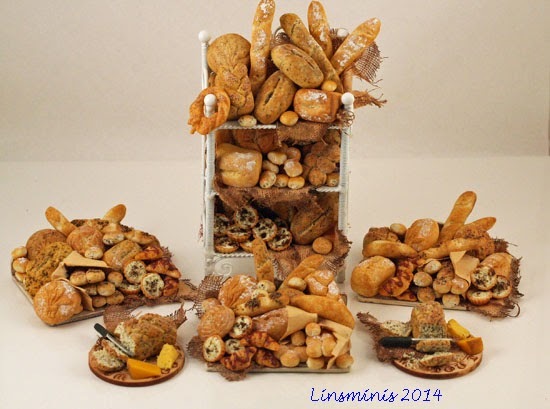 It seemed that, once I started making a few breads, they multiplied & kept on multiplying.....I couldn't seem to stop making them. They are all hand sculpted too as I am absolutely hopeless with moulds of any kind & have been known to waste a whole tub of silicon mould trying to get a useable mould from my original piece! In the time I wasted trying, I could've made a dozen freehand! ¡Son fantásticos! Dan ganas de comérselos. Gran trabajo. WOW! you have been busy. The bread is mouth watering GORGEOUS! Wishing ((((Marlene))))) All the best. They look wonderful and it's so nice you made more pieces so that you could help your friend. I hope she'll feel better. Very well done to you! They looks so good, hope they raise a lot of money for your friend. Wow, that is a lot of bread! Looks really delicious! The display of breads is fabulous. My thoughts are with your friend and I hope the fundraising goes well. 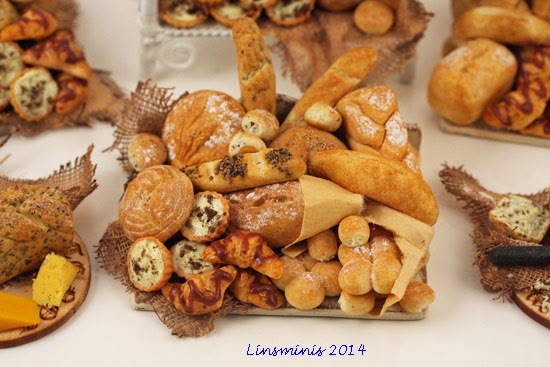 Your collection of breads is a feast for the senses! I love making mini breads myself and so I know just how carried away one can get, so good on you! They look delicious! My thought are with your friend and the cancer that she is fighting. You are doing a very good thing with this fund raiser and I commend you for it. I know that you are deeply concerned and I pray that God blesses her with the miracle that she desperately needs. menuda producción de apetitosos panes!!! Un buen trabajo.